Sublinguals is the general term for the variety of cannabis oils, drops and tinctures that are sold at state wide dispensaries under various brand names. Sublinguals generally come from a variety of strains and are classified both under genus (sativa, indica, hybrid) as well as the cannabinoid content (CBD dominant, THC dominant or Balanced). 1. Why choose cannabis oil over other methods of delivery? Thanks to the easy and discreet usage, along with the more consistent effects that come with precise dosing, cannabis oils are an excellent choice for medical cannabis consumption. As well, despite few proven negative side effects, many patients are wary about the effect of vaping on the lungs. Likewise, many patients are concerned about the longer lasting and potentially more potent effects that prefilled capsules are known for. 2. How do I take cannabis oil effectively? The basic rule of ‘start small and work your way up’ applies to cannabis oil as well. Using the measured dropper provided by most dispensaries, place the oil on the tip of your tongue or in food or water. Do not take medical marijuana sublinguals on an empty stomach. The metabolism will not effectively absorb it. 3. How do I store my cannabis oil/drops? The fridge is always an option, but simply keeping cannabis in a dry place away from heat or moisture is sufficient. Once opened, sublinguals have a shelf life of approximately 6 months. It goes without saying that sublinguals and all medical marijuana products should be kept out of reach of children. 4. What’s the difference between CBD oil found in health food stores and CBD oil purchased from a dispensary? This is a common question asked by a number of patients. The biggest difference is concentration, origin and potency. The CBD oils commonly sold in health food stores are hemp based and legally cannot contain more than .08% THC, thereby making them far less potent than the purer, higher concentration CBD oils sold by licensed medical marijuana dispensaries which are derived from the marijuana plant. 5. How much do sublinguals cost? This depends on the strain genus (Indica, Sativa or Hybrid) as well as the cannabinoid content (THC dominant, CBD dominant or Balanced) as well as the amount in a bottle. A 30 mL standard sized solution may cost between $35- $110. 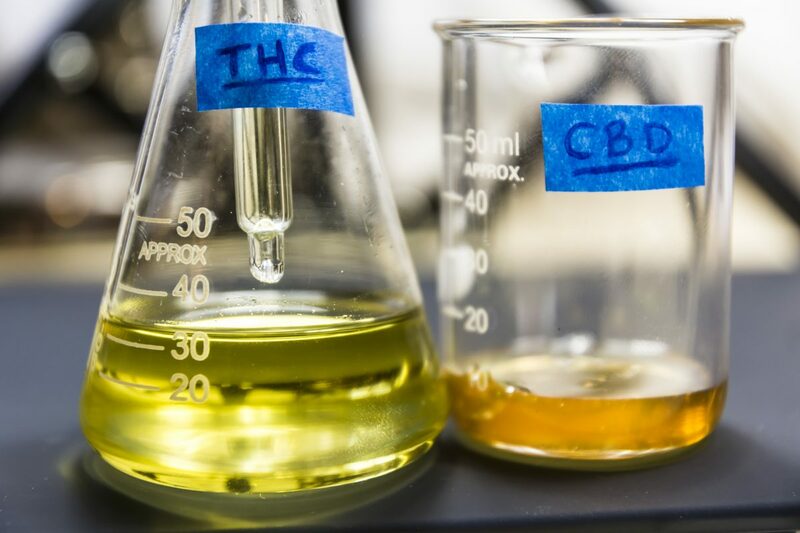 Typically, because the CBD extraction process is harder, pure CBD and Balanced (THC/CBD, 1:1) solutions are more expensive ranging in price from $85-$110. 6. How much cannabis oil is in each bottle? The standard measurement for a sublingual in the state of Florida is 30 ml (millilitres) /1 fl oz (fluid ounce) with a standard single dose being 1 ml. Each sublingual varies in potency and therefore it is a good idea to start with the daily dosage recommended by the physician and then decide if more or less is needed. Each sublingual contains a different amount of medical cannabis and varies in potency. This is why it is so important to adhere to your physicians’s recommendation as well as to start small and then increase. You may find with a THC oil that you need less than the recommended dosage. 7. What is the base used for sublinguals aside from medical marijuana products? Each sublingual needs an emulsifying agent, a substance that is soluble and allows the cannabis content to be evenly disbursed. Common emulsifying agents are coconut oil, palm oil and olive oil.